Breathtaking views of Boca Ciega Bay from this rare ground-floor Bahia Vista condo allowing weekly minimum rentals. Updated with neutral colors throughout. Tastefully remodeled kitchen, laundry room, and bathroom. New A/C 2016 with 10-year warranty. Also features impact-resistant sliding glass doors off living room and master bedroom. 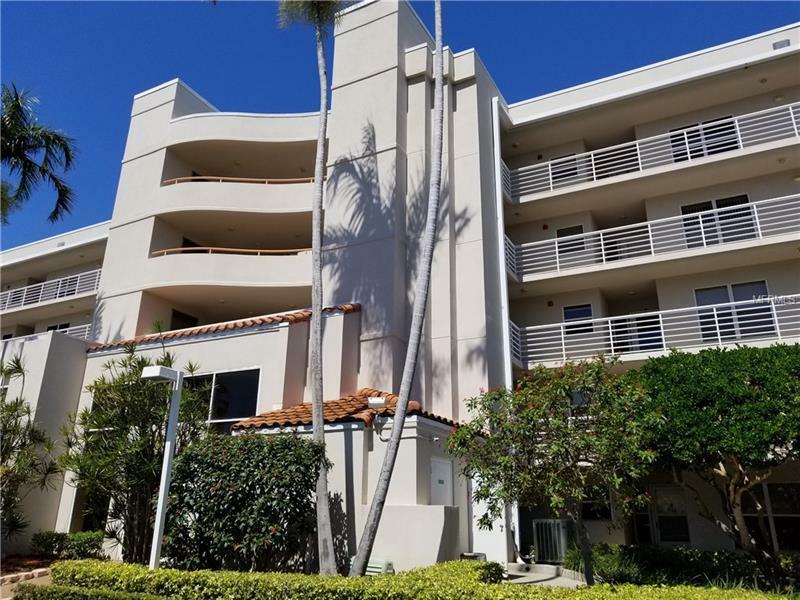 Desirable floor plan with plenty of natural lighting and large patio spanning width of entire unit and boasting westerly views of the iconic Don Cesar and unparalleled Florida sunsets. Perfect island location, 7-day lease period and assigned parking. Enjoy Isla Del Sol's well-known 18-hole championship golf course(fees apply), relaxing waterfront heated pool & hot tub, private beach & waterfront walkways. Minutes to the gulf beaches, Ft. DeSoto Park & Interstate 275. Just 25 minutes to Tampa International and St. Pete/Clearwater Airports. Pet Restrictions: One pet no more than 20 lbs permitted. Copyright © 2019 Mid Florida MLS. All rights reserved. The data relating to real estate for sale on this web site comes in part from the Internet Data Exchange Program of Mid Florida MLS. Information provided is for consumer's personal, non-commercial use and may not be used for any purpose other than to identify prospective properties consumers may be interested in purchasing. Lakeland Home and Realty participates in the MFRMLS Internet Data Exchange (IDX) program, allowing display of other MFRMLS broker's listings on this site. However may not include all listings currently available. Information is deemed reliable but not guaranteed. Information last updated at 2019-04-21 00:13:11.